A holiday in Norway at the Sognefjord promises a lot.. 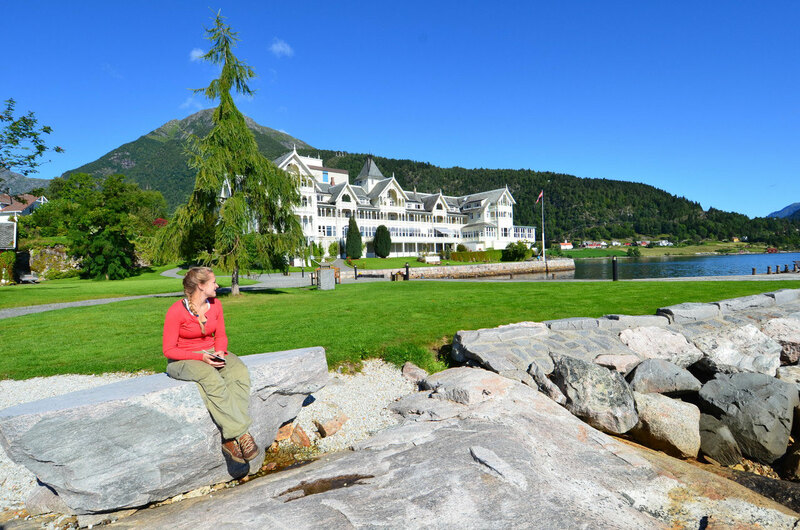 The nearer surrounding offers a vast amount of possibilities for hiking, fishing and cycling. The Gaularfjell is just around the corner, Tjugatoten lies infront of your feet, and the Nigardsbreen glacier can easily be reached by boat from Balestrand. A bike rental, tourist information, and anything that a little town needs Balestrand can offer. In particular, we can recommend the Kviknes breakfast buffet. A real bargain compared to Norwegian standards and a wonderful and tasty start of the day. For the best salmon in the world, have a look at Inge Menes on the other side of the fjord. You can not only obtain your boot gasoline at the same time but he will also be able to give you some "insider tips" when it comes to the fishing and hiking. The fjord is filled with all kinds of fish, and in the summer you have to give a jump into fjord a try..
For the women, certainly a little shopping trip to Sogndal must be mentioned, where you can grab the odd bargain. For the children a visit to Sognefjord Akvarium can be highly recommended and of course an extended cruise with Dad in the boat. 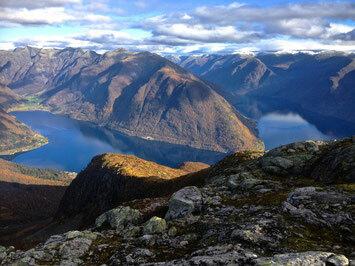 If you have questions, regarding activities at the Sognefjord and Balestrand we would be happy to help you anytime.